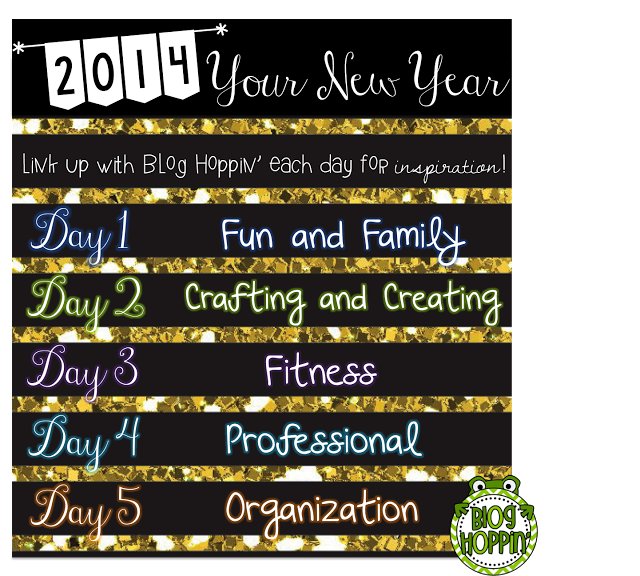 I’m linking up with Blog Hoppin for day 3 of the NY linky. Todays topic is all about Fitness. Let me start out by saying that I use to be extremely active. I grew up doing competitive cheerleading. My mother put me in gymnastics when I was 3 years old. This path continued until I was a sophomore in college. (I’d share pictures but they are on my old computer and haven’t transfered them yet.) Back then I worked out hard, every day for years. Once my cheerleading career came to an end, I still continued to work out, just not as intensively. I was training to run in a half marathon but unfortunately that never happened due to a car wreck I had 2 years ago. I ended up having to have back surgery and ever since then it has been extremely difficult to get back on track. It took me about 2 months to get back to “normal”, but the doctor said I couldn’t run for at least a year. Well that year pasted and I found it so hard to get back into the swing of things. I had no motivation like I use too. About 6 months ago I decided to get back on track. My husband and I were running everyday after school. I was very slowly making progress. Then Halloween hit, then Thanksgiving, then Christmas and since then my workouts have fallen few and far in between. I’ve decided that 2014 is my year to get back into shape. Do I want to be a competitive tumbler again? No. Do I want to be more healthy? Yes. Here are a few of my goals for this year. Thanks Kelly from Teacher Idea Factory for the graphic. This is honestly my main goal. I normally drink a cup or two a day. I am Dr.Pepper fan, BIG TIME!!! I normally can’t make it through my teaching day without one. My plan is to drink at least 5 cups a water a day. Then have a small Dr.Pepper at lunch. I’ve only had 1 DP in the past 2 weeks but I’m sure that will change when school starts back up. Maybe I’ll have enough will power to stay away. I don’t drink coffee so cafeen is definitely needed. 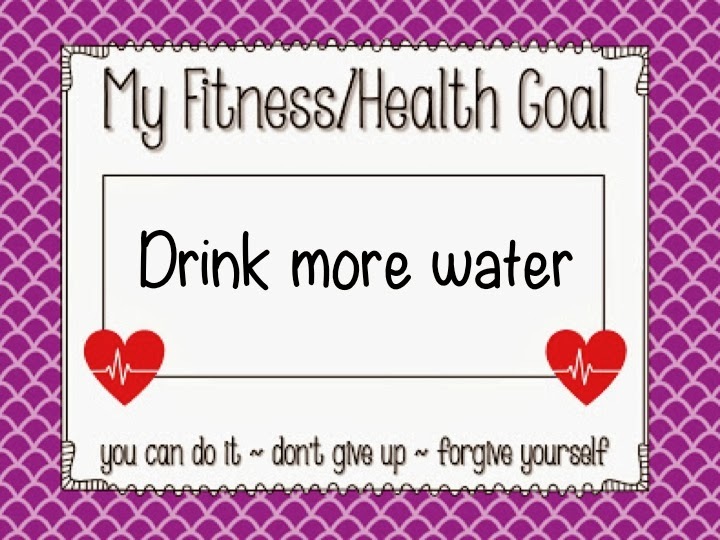 I’m doing good with my water goal so far. I’m dying to do a Color Run. The closest one to me will be in Shreveport, LA in May. Surely I can do that right?!? My husband said he would do it with me so there is my motivation. My husband has a friend on the Biggest Loser right now. This is the first season that I’ve watched the show and I just love it. It is amazing the transformations those people make with a little hard work and dedication. If you watch the show, David on there, is a good friend of my husbands and works with my sister in law! Since I’ve started watching the show, I’ve come to love Jillian Michaels. 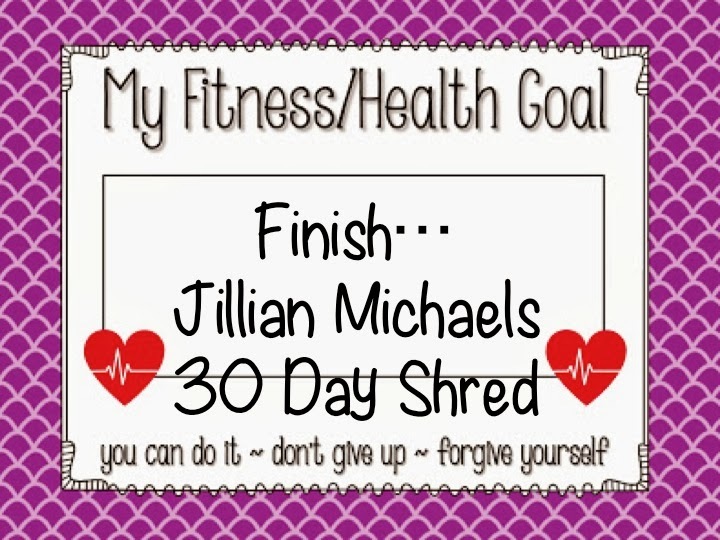 I recently purchased her 30 day shred and plan to start that tomorrow. I had to get my Christmas stuff taken down so that I’d have room in my living room. I want to stick with it. Have any of you ever done this? This is my overall goal for the year. This may not seem like much. This is how much I’ve gained in the past 2 years since my surgery. I’d like to get that weight off and be back to where I was 2 years ago. I don’t want to be a size 2 or ripped, again I just want to be healthy. My biggest task will honestly be watching what I eat. Here are a few apps that I use to help keep me on track. I’ve always loved the Nike running app. Its simple to use and keeps track of all your runs. 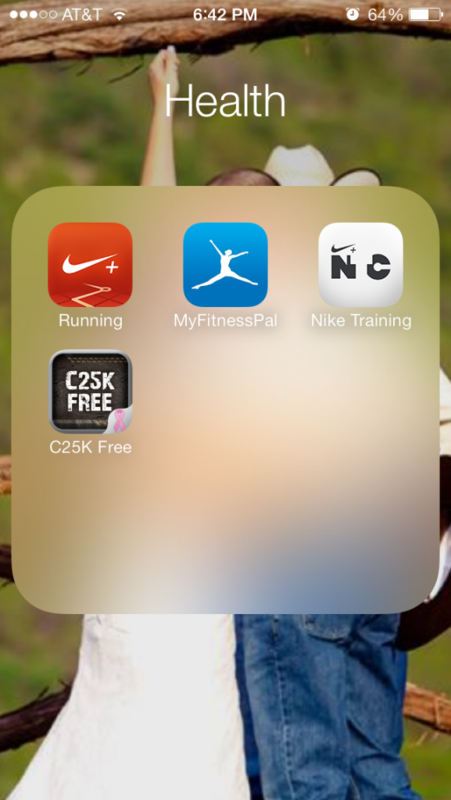 I’ve used the C2K Free (couch to 5K) app before. This is what my husband and I normally use when we run. I like how it breaks your run down into intervals to get you back on track. It is not overwhelming at first and thats what I love about it. I just started using MyFitnessPal thanks to some instagram friends. I’ve only been using it for 2 days so hopefully I can keep it up. You can track your daily calories, workouts and much more. You can even add friends to cheer you on and help motivate you. I have it linked to my C2K app so that it logs each run I do on there as well. 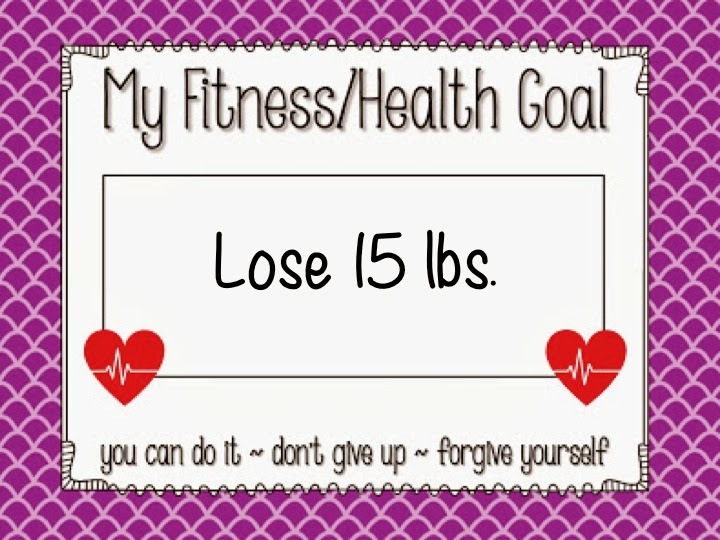 Last but not least, this is my goal that if I reach this year then great, if not then thats ok too. Before my wreck I was doing Insanity and loved it. I was about half way through the program when I had my wreck. I tried to do it again last year but it was too much for my back. 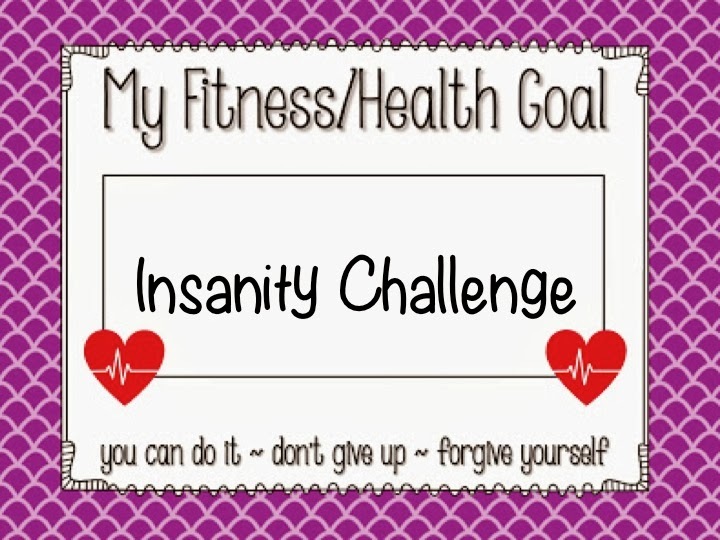 I hope I can get it strong enough to finish Insanity one day. Theres my fitness goals for the year. I’m determined to stick to my guns with this one. We’ll see! 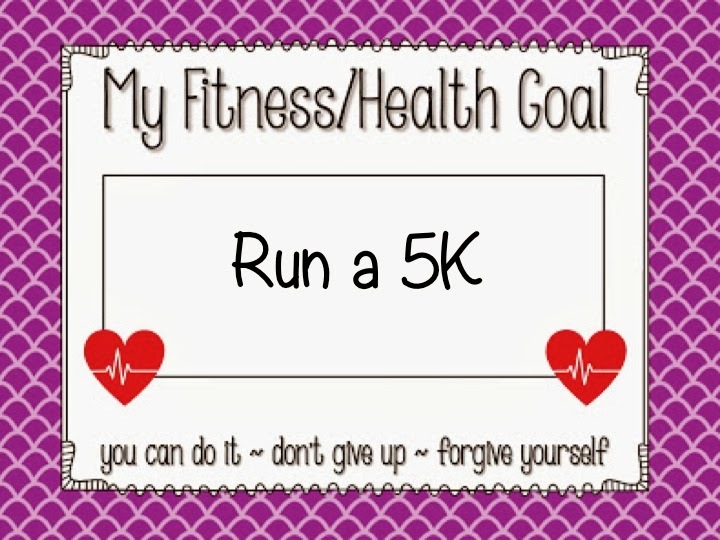 Head on over to Blog Hoppin to link up and read other fitness journeys.